High-quality products produce high-quality results. That’s why at Premier Ag., we provide top-notch products for your animals. Whether you have an animal athlete, a senior horse, or are working on a grand-champion 4H project, we’re here to help! We analyze all of our hay, so we can find just the right feed for your animal. Our friendly and knowledgeable staff can help you find feed and supplements best-suited to your animals needs. Stop by our store in Paso Robles today! We’ll look forward to meeting you. We’re committed to provided unmatched customer service. We offer quality products at competitive prices! 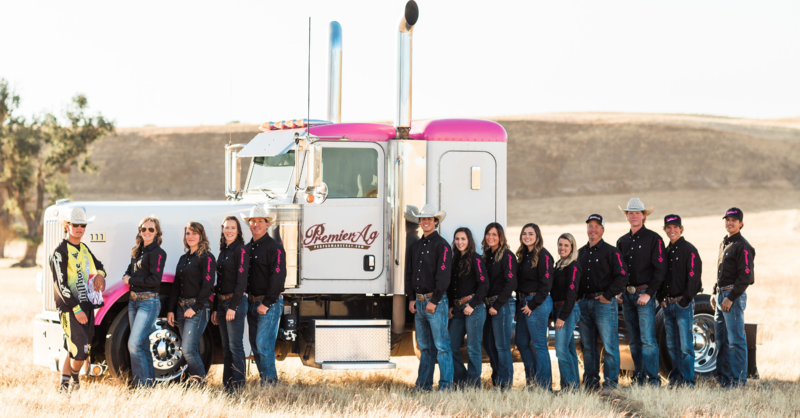 At Premier Ag., our clients are more than just our customers–they’re part of the family! With the opening of our retail store in Paso Robles, we are able to blend together our western boutique, custom hat shaping, quality hay and feed, supplements, show supplies, ropes and roping accessories, and much more! We also provide custom soil/plant analysis and solutions for growers all along the Central Coast and in the Central Valley. We sell compost, gypsum and other soil and water amendments. In addition to custom farming services, we provide soil & crop analysis. We can work together with you to optimize your crop production with our spreading services. Click here to see more!Follow us on Instagram!